Lottery Winner, Tom Massey, shares his experience! Our Lucky Lottery Jackpot winner Tom Massey recently popped in for a coffee with our Lottery Development Officer, Jodie, at Woodlands Hospice’s Café to share the story of his win with her! 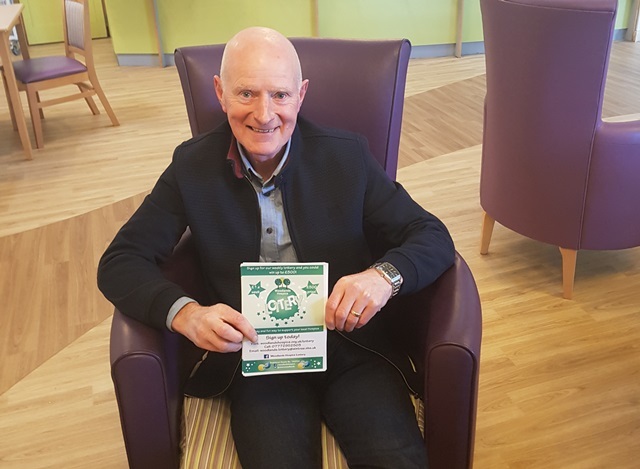 Tom, who works as an Improvement Manager in Mental Health services and lives in Kirkby, chose to play Woodlands Hospice Lottery for numerous reasons. Tom’s brother received Hospice care in Surrey, therefore, Tom felt he wanted to support his local Hospice. Tom also has a personal connection to Woodlands Hospice as his Son-in-Law’s Father was cared for at Woodlands. When asked what he was going with his jackpot win Tom said it would come in handy for Christmas - especially with the imminent arrival of a Granddaughter! Congratulations Tom! If you’d like to join our lottery and be in with a chance of winning up to £500 in our weekly prize draw for just £1 a week, click here for more information or call us on 0151 529 2299! I’m sure Tom would tell you – you’ve got to be in it to win it! !